From initial discussions to presenting the finished product, our carefully considered procedure streamlines the home renovation process and sets a clear course for our partnership. The final design plan is fluid, so we can make changes or overcome unforeseen challenges accordingly. With each change or challenge, we will loop back through the process to understand how those changes will alter the budget and timeline. With an understanding of our core values and renovation process, we can make informed decisions about changes to the original plan and overcoming unforeseen challenges together. Once we have your commitment, all aspects of the renovation process are presented in a written contract to make expectations clear and reduce misunderstanding. The renovation process starts with site visits and open discussions about your needs, concerns, and vision so we can translate that into an initial design plan. Based on our discussions and initial plan, we will provide a cost estimate for construction, sub-trades, and finishing materials based on your available budget. Together, we will fine-tune the budget proposal and design a final project plan with accurate cost estimates. We will work with you to determine your home renovation project start date, and then establish the end date. Sub-project start and end dates will also be determined. All work provided by Craftsmen Contracting Ltd. and its sub-trades are warrantied for two years after the renovation is completed. We stand by our work and will follow up with any concern over workmanship promptly. Craftsmen Contracting protects you and ourselves by maintaining WorkSafe BC coverage, liability insurance, and licenses. Regardless of how simple a renovation may seem, they all require careful thought and communication to get it done right, with best installation practices and quality materials. As soon as a full detailed renovation plan has been established, then the entire process will be entered into and tracked, in real time, using our interactive software, ‘Buildertrend’. As long as you have wifi/internet you will be able to access this app on your favourite device, including your smartphone, tablet or iPad, a laptop or desktop computer. quick and easy messaging tools to help us keep in constant contact with each other. 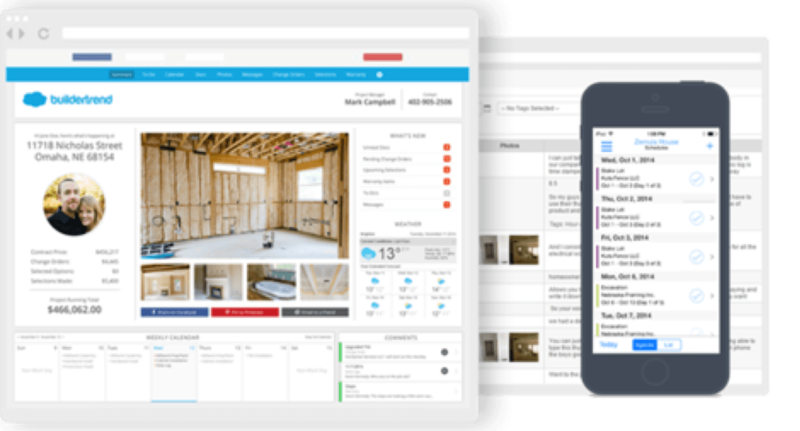 What this means is that all the details about your renovation, and the ability to freely communicate with us is always at your fingertips – and the best part is that it all happens in real time!